I have written in the past of the great potential of Robola variety which shows its authentic soul in its natural home, the island of Cephalonia in the Ionian Sea. And while it is often compared to Assyrtiko in a less powerful dimension, it nevertheless retains its unique expression by being fatter, textural as well but in a fruitier rather than mineral frame. 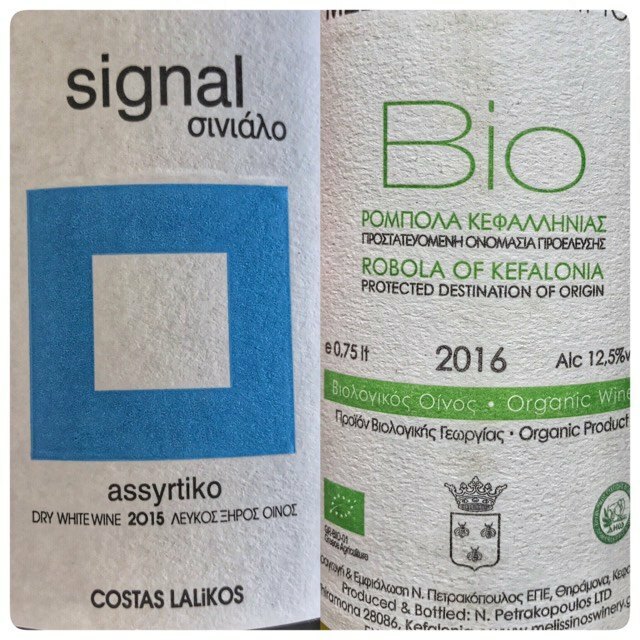 The following two wines prove two points; one that Robola is not Assyrtiko (and it should not be!) and second that there is minerality outside Santorini as well. From a small boutique winery located in Thiramona village this is a new addition to the winery's Robolas line up including already two more interpretations of this promising variety. Sourced from just two vineyards, one on the steep slopes of Fagias at 700 m of altitude with pure limestone and yields of 45 hl/ha. The rest of the grapes are coming from Lakomatia village lower in altitude with yields of just 28 hl/ha. Mostly young vines less than 10 years old (versus 30 years old in Fagias) but producing top quality fruit according to winemaker Kiki Siameli. The wine sees a classic white vinification protocol with no additives included and with low SO2 of 60mg/lt total. It is bottled unfiltered in 1200 bottles and retails in domestic market for 18 euros. Costas Lalikos is one of the kindest persons in the Greek wine industry. He furthermore consistently produces excellent value wines in Northern Greece. With this Assyrtiko however and with the support of winemaker Nikos Karatzas he does make a step forward reaching high levels of complexity and excitement! Signal is a serious single vineyard expression produced from vines planted at 520 m of altitude in Kavala, Macedonia. Soils are relatively poor with a combo of limestone, clay and rocks.